Gone are the days when people had no choice but to go to a theatre to watch the movie of their favorite star or visit an internet café to play their favorite game. With the modern technology, people are now offered the convenience to perform all their activities right from where they live, and watching movies and playing games is of no exception as well. Nowadays people are able to watch their favorite movies directly online through web services like YouTube and other video streaming services. In addition, for those who wish to download games and movies, Torrent remains the go-to choice for most internet users, as it contains a vast library of nearly any video or game one might think of. 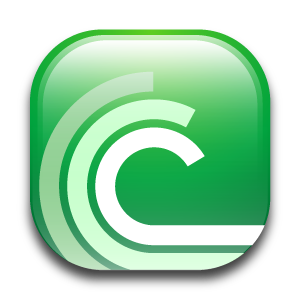 The extremely convenient search engine of Torrent, Torrentz, makes it even easier for users to search for what they are looking to download and its autocomplete feature enables them to achieve the results pretty rapidly. BitTorrent has been into existence for over a decade now, and it still remains to be one of the best tools for downloading and sharing files, around the world. However, at times, you may find that your file downloads consume a lot of time than usual, and in some cases, even if you have a faster internet connection and the file you are downloading contains several peers and seeds, the download might still happen slowly. This time consumption would be extremely annoying and hence, the only best way to improve this speed is to use a VPN. In recent years, it has been found that several internet service providers (ISPs) tend to throttle the bandwidth of their users, preventing them from seeding, or perform other activities to keep them from using torrent. This might be the main reason for your limitation in downloading speed as well. Despite all the other methods that you can follow to prevent this issue from happening, the best one is to encrypt your online traffic. This is because, like most other ISPs, your local ISP might also enforce torrent traffic restrictions, as a result of which, your file downloads would take several hours for completion. When you use a VPN connection, all your torrent traffic will be encrypted, making it impossible for your ISP to monitor or track down your online activities. Once the ISP is prevented from viewing your traffic, it will not be able to distinguish between normal data and torrent data. Hence, it will not restrict your torrent traffic, enabling you to obtain the actual download speed that you pay for. The encryption process also helps you perform safe and secure online activities, preventing eavesdroppers from capturing your sensitive data.